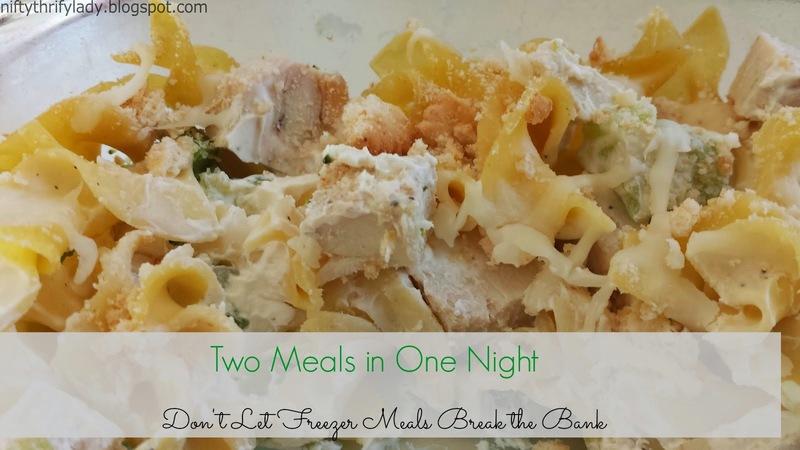 The Nifty Thrifty Lady: Eat in Feb: Don't let Freezer Meals Break the Bank! 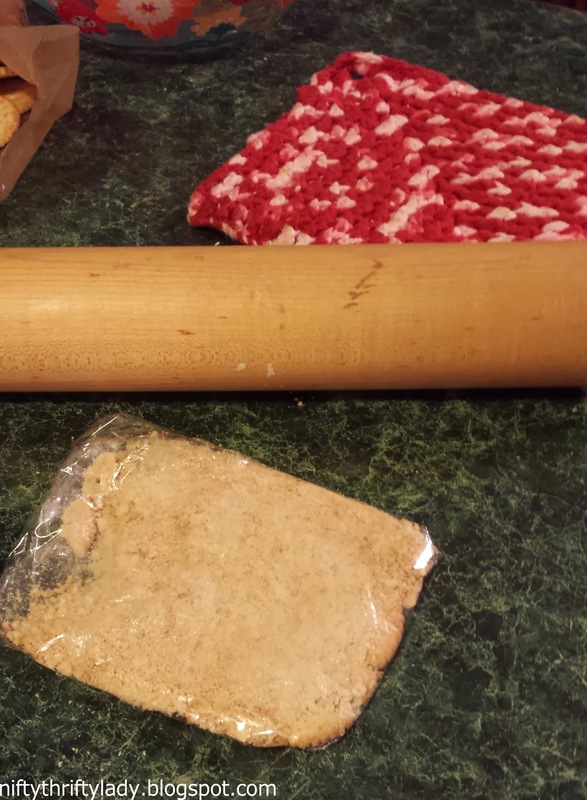 Eat in Feb: Don't let Freezer Meals Break the Bank! 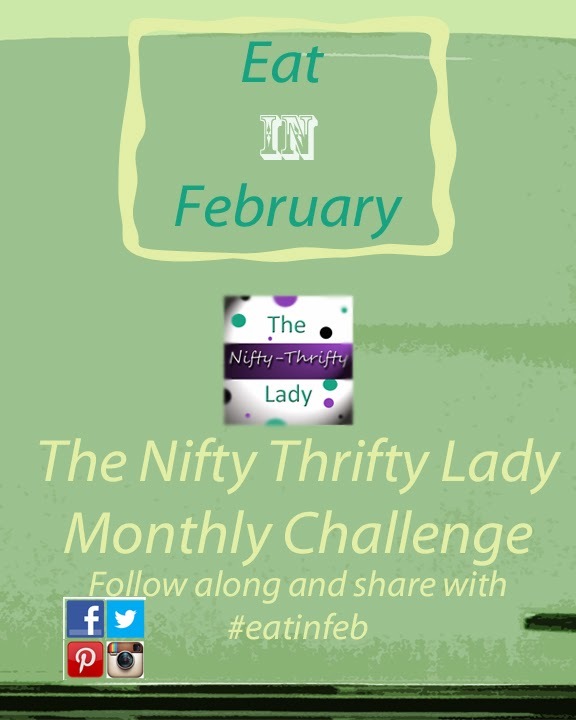 If you are chugging along with the final challenge of Eat in Feb pat your shelf on the back! (Hey do a dance if you want to!) 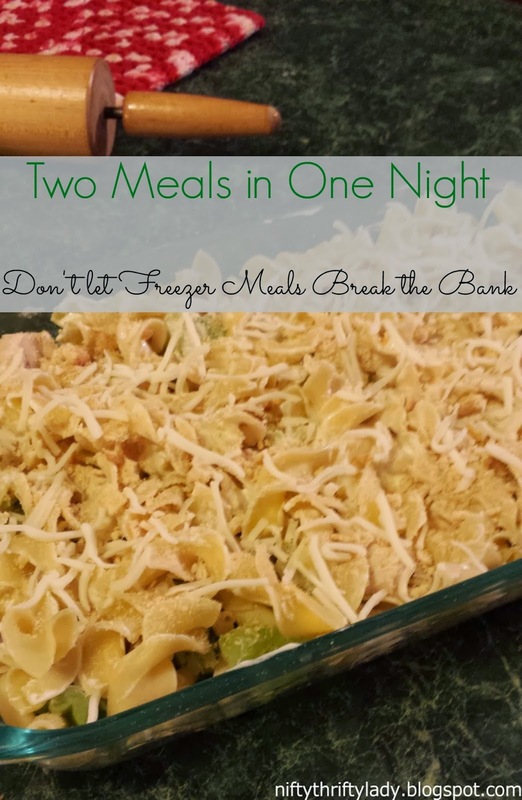 The Eat in Feb Challenge was intended to be tough but it is also going to show you how it IS possible to eat at home even on busy tired nights. 1. All of the ingredients you need to prep these meals will cost generally speaking about 50-75% of your monthly budget. I know this sounds like a good deal because you have a ton of ready to go meals and still have money left over. However, in a real household you are going to need to buy other things like fresh fruits and breakfast foods, milk, diapers, and toiletries. It just doesn't always seem budget friendly to spend over half your monthly budget on dinners. 2. So mom's when was the last day you had time to spend ALL waking hours of your day in the kitchen. Think hard...maybe...nope I didn't think so! It hasn't happened for me since way before kids! Honestly when you commit to making a months worth of freezer meals that is what you will be doing. Between rewashing dishes and cutting and pre-cooking veggies and meat it makes for a LONG day. You are probably agreeing with most of what I am saying if you have read this far. You are also probably wondering if I am going to come up with an alternative. Well yes I am. 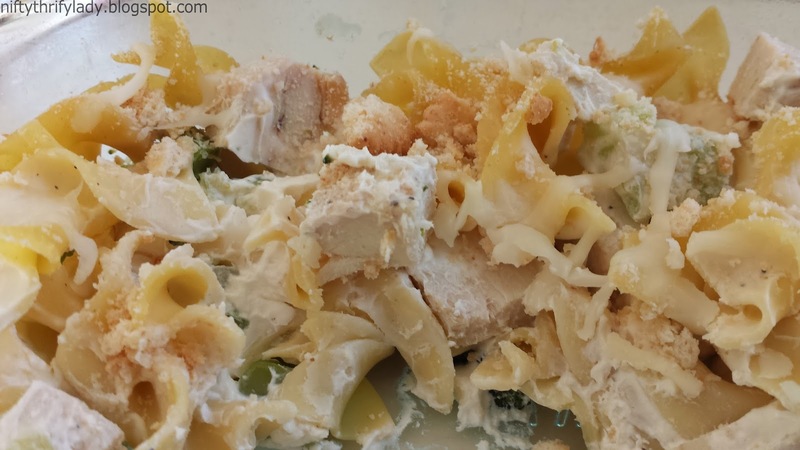 My budget friendly answer to monthly freezer meals! Two months before our littlest guy was born I was in panic mode! It was our second baby and our oldest was 6! We basically started all over again except for the fact that with the 2nd child most people do not knock down your door with yummy dinners and desserts. You have had one bundle of joy so you are trained for little sleep and lots of work. We on the other hand were almost 6 years over sleepless nights and running ragged. So I decided to be proactive (in case we didn't get a large amount of meals) and try some freezer meals. Well that was my first glimpse at how expensive it was to buy all the ingredients AND all the bags and containers! Our budget was already changing to accommodate for diapers, wipes, ect. I just couldn't find room to buy over $150.00 worth of products. 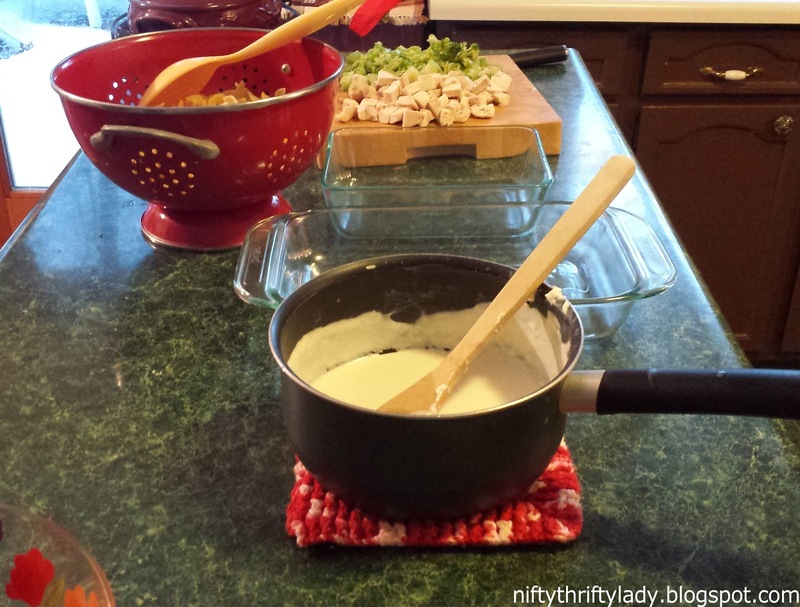 Not getting discouraged I did the next best thing, I doubled my regularly planned meals! It was the perfect compromise, our meals are something that everyone lists already and are budget savvy. Doubling it cost me maybe $2.00 extra and it didn't create more dishes. Why didn't I think of this before?! Here is the assembly line for Chicken, Broccoli, and cheese casserole. 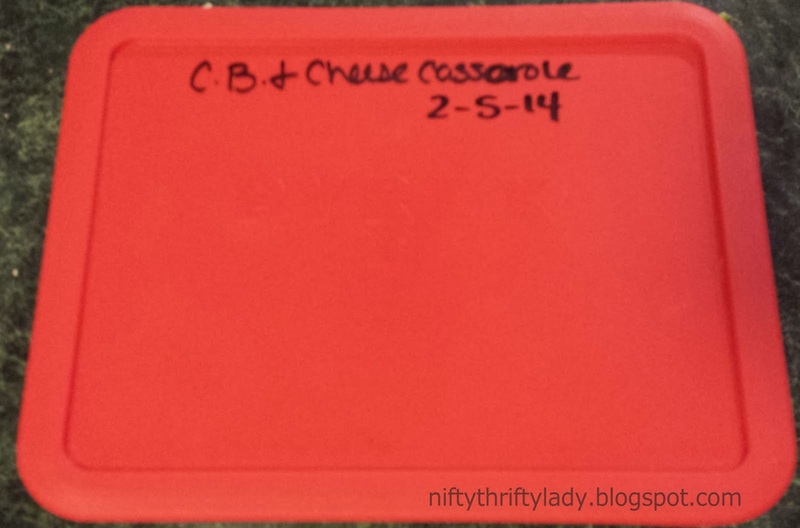 I use glass when I freeze meals because I am a cheapo and do not my meals to freezer-burn. We were gifted this Pyrex set but I love it because it comes with lids! Tip: When you are making meals and are short on an ingredient look for a substitute! This recipe called for Italian breadcrumbs and guess who was out? This girl! So I used some Ritz crackers and done! Remember to always label your freezer items! Date and name of the meal is just fine. Your turn! How do you survive busy nights and still eat in?